Cremation is becoming more popular all the time. For many people, cremation provides a simple, dignified alternative to traditional burial. Cremation services range from direct cremation to more elaborate arrangements. Tranquility will respect your wishes and honor your beliefs, by offering you and your family a variety of choices. Direct cremation is the simplest option when considering cremation arrangements. With direct cremation, there is no memorial or funeral service. We are fully licensed to oversee the entire journey, which involves the transfer from hospital, nursing home or other location, directly to the local crematorium. If you already have pre-paid arrangements in place at the crematorium of your choice, that’s not a problem. We will be pleased to partner with them. When cremation is completed, we will provide the cremated remains to the next of kin. At Tranquility, we also complete all the necessary paperwork for you, such as official death certificates. On the other hand, should you wish to hold a memorial service at the crematorium chapel, a church or other location, Tranquility can help you make those arrangements, too. 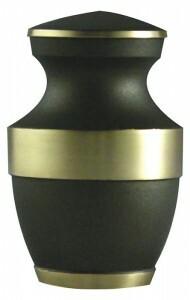 Some people choose to keep cremated remains in an urn at their home. Others decide to bury in a traditional cemetery plot or inter them in a mausoleum niche. You may want to scatter the cremated remains in a natural setting. Tranquility is dedicated to carrying out your wishes, in the most affordable, respectful and dignified manner. At Tranquility, we understand that in some cases, family members may be unable to come to our office to make arrangements for cremation. That’s why we are pleased to come to you. At no additional charge, we will visit your home or office and discuss your needs. With one phone call to Tranquility, everything is taken care of. There are no additional calls or arrangements for you to make. If you wish, we will pick up personal effects and take care of similar details. Just ask. As soon as you contact us, you can rest assured that your wishes are being carried out with sensitivity and meticulous care. At Tranquility, our only goal is to help you and your family during one of life’s most painful experiences. Honesty and fair pricing are the foundations of Tranquility’s approach to serving you. We always offer you an exact price, immediately. There are never any “hidden” fees added later on. As well, we strive to give you the least expensive option. Tranquility offers the most reasonable pricing available today, while never sacrificing quality, compassion or professionalism. If you choose direct cremation, Tranquility is the simple, affordable alternative.